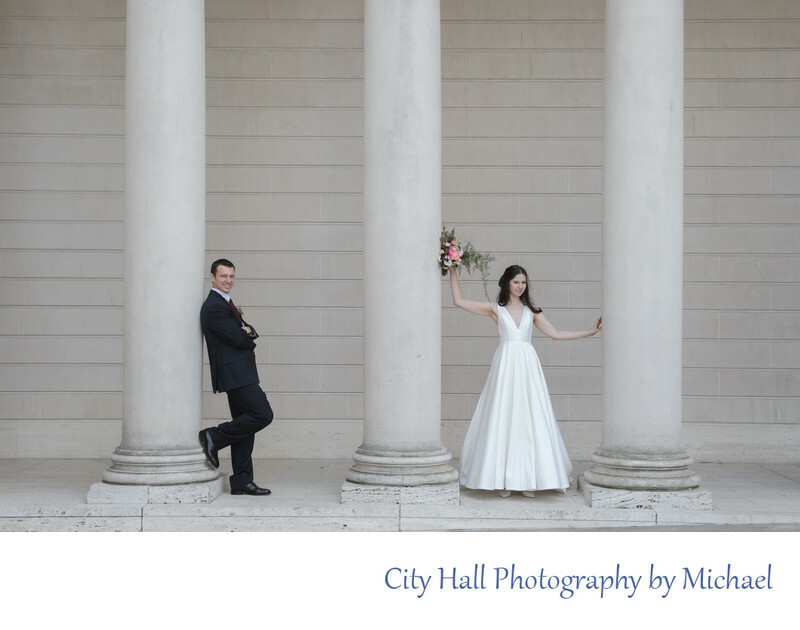 We love the Legion of Honor in San Francisco for its perfect light and great neutral backgrounds. It seems that this famed San Francisco historial landmark was designed with Wedding Photographers in mind. Nothing too distracting but with gorgeous architecture. The bride's flowers bouquet provides a perfect amount of color to give the image some impact. This very adventuresome couple did a all kinds of additional photography posting with very little input from us. Natural posing is often the best!